After completing her duties as a 'Weapon', Chise starts to doubt her actions as she watches city after city being destroyed. When an earthquake strikes during class, Chise reacts as if it were an attack and accidentally destroys a section of the school. 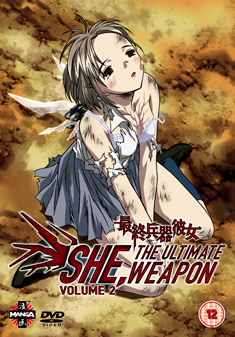 Shuji witnesses the incident and begins to fear his girlfriend...Contains episodes 5-8 of the anime series.